It was of course, a theoretical statement, but based on the scientific principle of leverage Archimedes was so eloquent at explaining. But this then begs the question, what’s the math on his theoretical question? So let’s take a look! 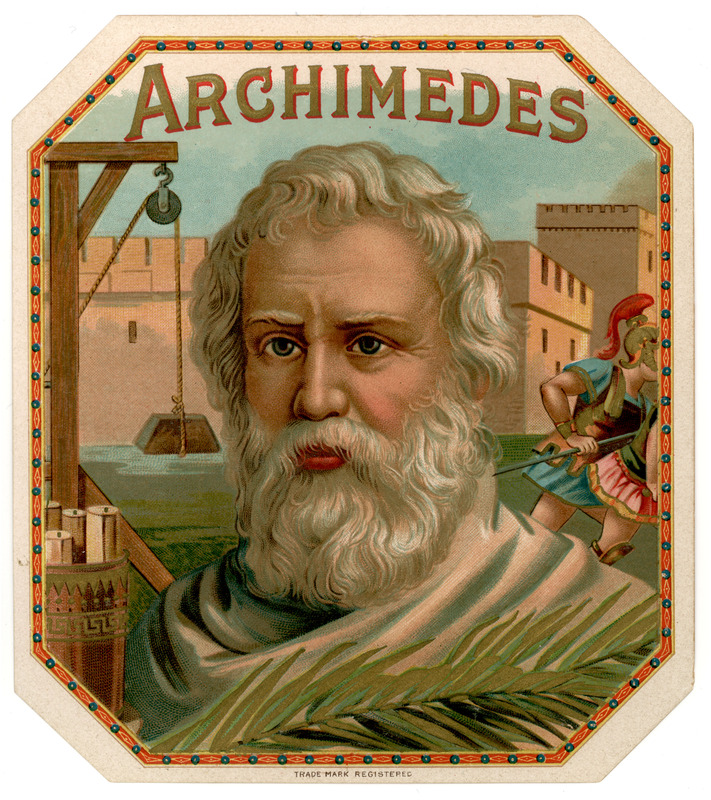 We don’t know what Archimedes weighed, but let’s assume he was an even 200 lbs., an average weight for an adult male, and a nice round number to do our math with. First, let’s understand leverage.If you have a fulcrum (pivot point) in the middle of a lever supporting two bodies of mass, and those masses are the same distance from the lever, assuming the lever is a uniform weight its entire length, the two bodies will balance. If however, one mass is twice as heavy as the other, then the lighter item needs to be twice as far from the fulcrum to balance with the heavier one…and so on. If he was indeed 200 lbs., and wanted to lift Earth (which is believed to be approx 5.9 sextillion tons) one foot, he would place the fulcrum 1 foot away from the end of his lever under the Earth, and the other side of the lever would have to be approximately 5,587,121,210,000,000 miles away. This then also means he would have to move vertically 5,587,121,210,000,000 miles as well, in order to lift the other side just one foot. This is of course theoretical, for fun, let’s think about some of the other things that would have to be true. It assumes the lever is some miracle material that is unbreakable, it is being asked to lift 5.9 sextillion tons, after all. Yet somehow, this unbreakable lever must have no mass of its own. Otherwise, it changes your equation, and you’d have to account for that. It requires that Earth would be laying on top of another body that has the same mass as Earth, because something needs to be not only providing a gravity force to pull earth down, but also, he needs some place to put his fulcrum. Any physicists out there want to add any critique or additional insights, please feel free to do so in the comments section below. Always an honor to have my work reviewed.